There will be no change and voters will accept the People’s Action Party 4G leaders. This is the logical thinking of the PAP despite internal and external challenges. The Logical Song was a popular song in the 1980s. Even nearly 40 years after the release of The Logical Song it is still relevant to Singapore. The world has made many changes since then except the evergreen PAP. Why? Are we untouchables? - Since we cannot achieve Swiss standard of living, we have no demand for the meaning of life. - As we cannot afford the high cost of medical/living, we apply for CHAS cards. - Since we cannot withdraw CPF earlier or don’t have enough CPF, we need to continue working. - Throughout our education and the PAP propaganda, do we really ask the question: who I am? The Logical Song was written primarily by Roger Hodgson and it was his life experience. [Hodgson has said of the song’s meaning: "'The Logical Song' was born from my questions about what really matters in life. Throughout childhood we are taught all these ways to be and yet we are rarely told anything about our true self. We are taught how to function outwardly, but not guided to who we are inwardly. We go from the innocence and wonder of childhood to the confusion of adolescence that often ends in the cynicism and disillusionment of adulthood. In 'The Logical Song,' the burning question that came down to its rawest place was 'please tell me who I am,' and that's basically what the song is about. I think this eternal question continues to hit such a deep chord in people around the world and why it stays so meaningful." The PAP logically assumes that their 4G leaders will take over Singapore as planned like the passing down of Goh Chok Tong and Lee Hsien Loong. This is because Singapore voters never consider “please tell me who I am’. Will GE2019 be a difference? Will voters ask who am I? And Why? Why do we need to continue to vote for a party that makes us ending in cynicism and disillusionment? Kaohsiung problems? Or Universal problems? How can one solve them? “Outflow of goods; inflow of people and so Kaohsiung will be rich.” This is basic economics and the election slogan of Han kuo-yu who won the Kaohsiung mayoral election last month. Han said that if elected, he would transform Kaohsiung from an “old and poor” city into a “rich and youthful” one, while vowing to stay closely connected to people at the grassroots level by having a member of his team spend a night at the house of someone belonging to a medium-low income family once per month. He also pledged to be a mayor of integrity, saying that if he is ever convicted of corruption, he would waive his right to parole hearings. Han’s win is a surprise to many Taiwanese, especially DPP. In 2014 election, due to overall low party popularity, the KMT candidate only managed to get 30.9% of the votes. However, in 2018, Han, representing KMT, got 53.87% of the votes, almost 23% jump. Han is certainly more connected with the voters. 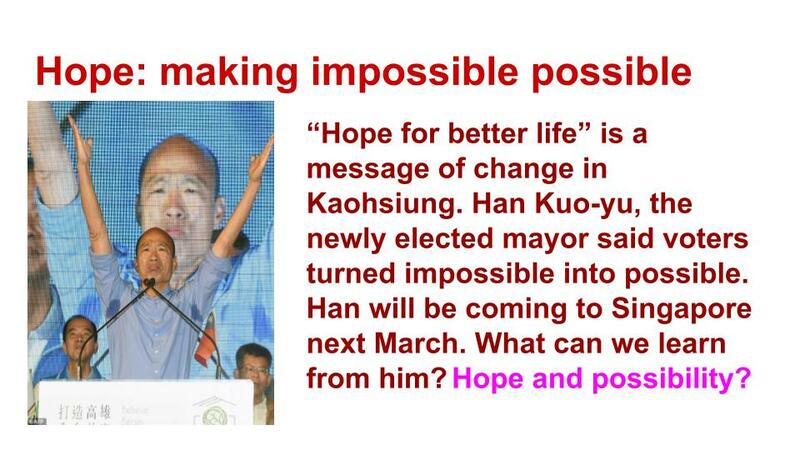 From the following quotes from Han Kuo-yu, we can understand why Kaohsiung voters want a change and are willing to take risk. In the future, there will be no blue-green (KMT or DPP) partisanship in Kaohsiung. All-out efforts will be made to pump up the (city) economy. Han Kuo-yu (2018) cited in "KMT's Han Kuo-yu wins Kaohsiung mayoral election" on Focus Taiwan, 25 November 2018. I am no ecstasy pill (like what did the DPP official Lin Hsi-yao said). It is the public (people of Kaohsiung) who can bear no more (about the lack of prospects in Kaohsiung under the DPP government). Han Kuo-yu (2018) cited in "The fall and rise of Taiwan’s Han Kuo-yu: a former Kuomintang outcast turns up the heat on Kaohsiung mayoral election rival Chen Chi-mai" on South China Morning Post, 26 November 2018. I perfectly understand how big a decision Kaohsiung voters have made to elect me mayor because I have only lived here for a short time. I promise to build a clean government, and use whoever is good for the city, regardless of their political affiliations, and do all I can to make Kaohsiung rich and great. Han Kuo-yu (2018) cited in "From rank outsider to mayor of Kaohsiung: meet the man who wooed Taiwan’s electorate" on South China Morning Post, 26 November 2018. All governments face the Kaohsiung problems: unemployment for young people, low salary, rich-poor gap, unequal development within cities, ageing problems, economic growth, trade, finance, etc. But Kaohsiung has additional problems: corruptions, mismanagement of resources, high debt, low productivity in administration, disconnection with residents. To some degrees, Singapore is no exception to the problems. We have high GINI, high national debt, high living and medical costs, fewer good jobs, low wages etc. Han won the election because he offers hope for a better life. Most importantly, he re-engineers the spirit of enterprises. Under DPP, the restrictions of doing business is not only due to China-Taiwan relationship but all the uncertainties, e.g. energy and environment, and unpopular business practices and laws, e.g labour, market/pricing, selection of key office holders, etc. Han openly says that in Kaohsiung it is 100% economics and 0% politics. Wow! Sound like Singapore! Taiwan’s DPP got it so wrong: Underestimating Change, under expecting Change! Democratic Progressive Party in Taiwan faces a difficult and very challenging local election in 2018. While it could be a self doing, over confidence and most importantly, underestimating current change or demand for change in Taiwan. In 2016, when DPP won the Presidency, she had over promised voters and not only that they implement big reforms and policy mistakes in economics, labor, energy, legislations, and environment protection. There is a price to pay for underestimating change, under expecting change. Voters are not happy, despite maintaining positive economic growth. Big businesses can get contracts from government, however, small and medium enterprises, self-employ, and farmers are suffering due to labor and mismanagement of economy. Old ginger has its value. When Mahathir formed the new Malaysian government, he declared he could not meet all the election promises. He wants to lower voters’ expectation. The first thing he did was to form The Council of Eminent Persons to advise the new Malaysian government on economic and financial matters. Economics is the most important factor and any policy changes affecting economy will affect voters and supporters. DPP has opened too many fronts but Mahathir concentrates on economy and finance. Malaysian government removes Good and Services Tax but re-introduces Sales and Services Tax. Look at what DPP is doing. They introduce labor reform#1, new look south policy, restricting mainland visitors resulting to cut in tourism income, antinuclear policy and using coal to generate power making environment a key issue in this election, laws to make Nationalist KMT’s assets illegal, trying to right the wrong doings in the past; etc. DPP seems to engage in self-destruction when we compare what Pakatan Harapan and DPP are doing. DPP fails to see the results of policy changes. They believe voters will give them chance by repeating claims of political victims and against unification with mainland, forgetting they are in full control of presidency and parliament. And as KMT is badly damaged, they think they can win the local election easily, especially in the central and south Taiwan. DPP, however, is focusing their attention in the north, never expecting voters are demanding change in the whole Taiwan. There is a saying in Taiwan now: “hate DPP” is the biggest political party in Taiwan. Despite policy mistakes, DPP also shows weak administration and lack of competency. 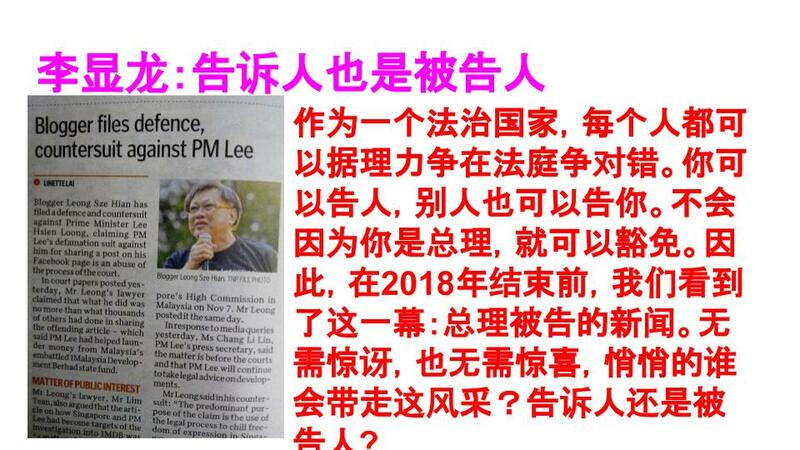 DPP is also as corrupted as the KMT. They even perform poorly in social media. Many of the political appointments and positions are held by alliances or frictions of DPP. And their performance is far below average, below expectation. The issue of appointment of the President of National Taiwan University is a clear political intervention and is now in suspension. From 2016 to 2018, there is huge change in the fortune of DPP. President Tsai Ing-wen’s approval rating is very low and some DPP candidates try to avoid her due to her low popularity. Certainly, there are many lessons we can learn from 2018 Taiwan election. 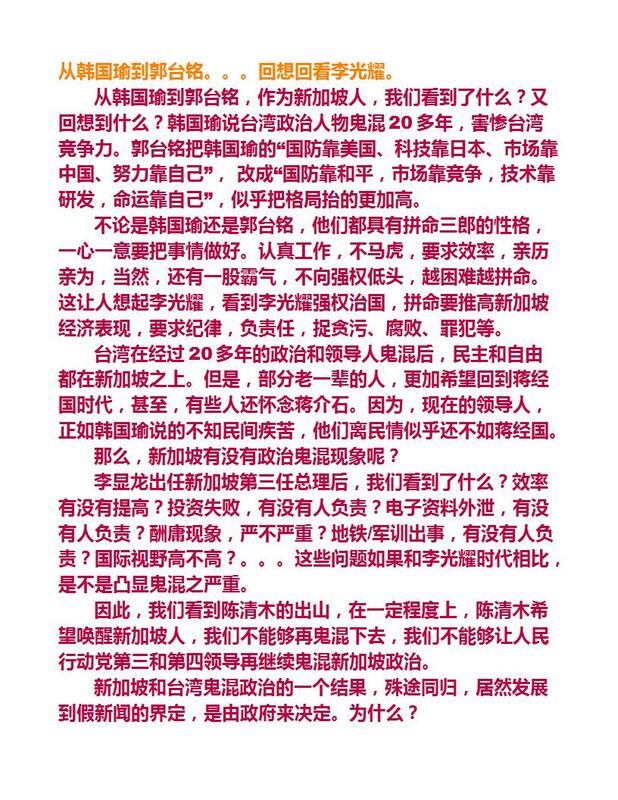 Despite poor in resources, one can be very creative in social media, language used as shown in Han Kuo-yu team. Traditional way of rally and interviews have to give way to new, fun, relax presentation. And young assistants are recruited to add new values and inputs. Most importantly, both DPP and KMT have to rethink their strategies and election planning after this election. How do they assess CHANGE and voters’ demand?